Yes, satisifcer is a word, at least according to Barry Schwartz, a Swarthmore College professor and author of The Paradox of Choice. If you are not a satisficer, you are probably a maximizer. Whichever mindset you employ will dictate how you search for a home. More on that shortly. 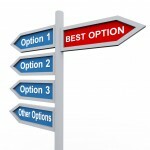 In general, maximizers are ones who want the very best and research all options to ensure that outcome. 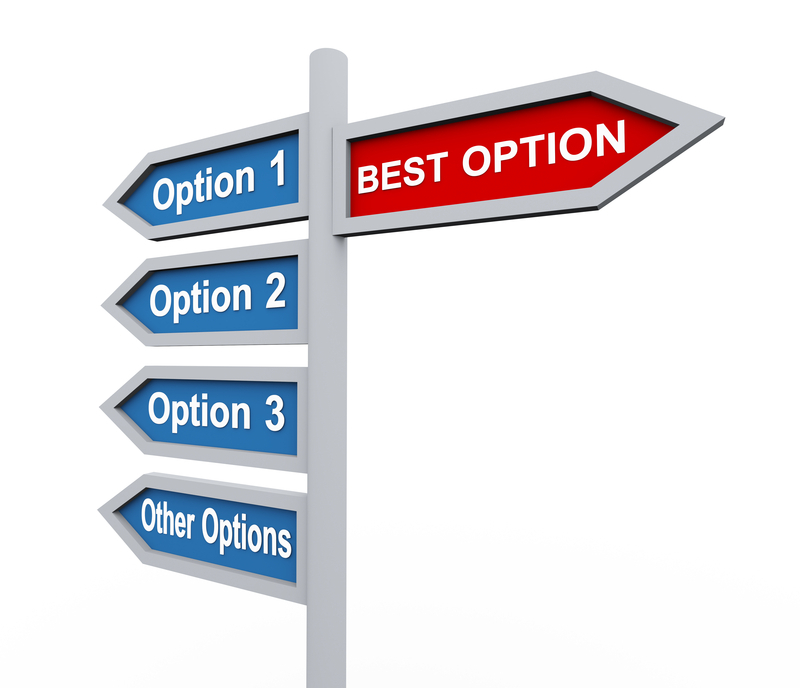 Satisficers recognize there is no perfect outcome and will make a decision once most of the criteria is met. This does not mean satisficers don’t have high standards. They do. It simply means that once the the decision is made, they are satisfied and they move on. So off we go on the hunt for the best restaurant in town whatever that means. At the end of the next block she mentions a Thai place that looked more interesting than the 1st but no decision yet. We go one more block and thankfully run out of town. Her conclusion? Italian is just fine. Back we go with me hoping we don’t need to explore the other side of town. So we sit down in the Italian restaurant and have a lovely meal. As a satisficer, I would have had the same lovely meal whether we had looked at the other choices or not. I was hungry. It was a crowded restaurant with a good menu. The people looked happy. Let’s eat. After exploring all options, she too had a wonderful meal. But had that same meal been eaten without looking at other restaurants, it would not have been as enjoyable as she would have been wondering what she missed. Now a real estate example. I recently decided to buy an investment property in my IRA and decided that to meet some of the financial goals I had set for this investment, it would likely be a house outside of the northern Virginia market. I ended up purchasing in Memphis. People ask why Memphis. Well, it is a a long story as to how I came to visit Memphis earlier this year before I knew I wanted to do this. And once the idea of an out of area purchase blossomed, I coincidentally met several investors from Memphis. It all seemed to fit. I am very happy with the decision. Is it the absolute best market in the US for what I want to do? Probably not. I could have spent weeks or months researching cities across the country and possibly achieved a slightly better return but Memphis works so I did it. Satisficer behavior. We also may be satisficers in one arena but maximizers in another. In a grocery store I will scan and compare all of the different peanut butters and prices. I think I just bought a new computer in less time than I would spend buying peanut butter, cereal, shampoo and shaving cream. Now, most people are not at either extreme. They tend to lean one way or the other as I have observed in my clients. One would think that I would like satisficers the best as they decide quickly and we get to settlement all that much sooner. But that is not the case. My #1 goal is getting a buyer in the right home. After 25 years in the business, I have come to realize 2 truisms. 2 – There is always a “better” home that will come on the market in the near future but there is no “perfect” home. Homes are not like any other product. Each is unique and has to be seen to be understood. Each has pluses and minus. A buyer just needs to decide when those pluses are plentiful enough to make an offer. When you are walking down a street looking at restaurants, at some point, all of your options are in front of you. If the greatest chef on the east coast has a sign in a window that states his restaurant is opening next Tuesday, you will not abandon your plans to eat today and wait until next Tuesday. But in real estate you can wait and there is always a “coming soon.” Hundreds of properties come on the market every week. Among those new additions, there is never a perfect property. Perhaps a great property but never a perfect one. Sometimes, home searches do take a long time and for good reason. Maybe a certain feature is very important (like a main floor bath and bedroom) or a location needs to be close to a specific school or transportation hub. Often a buyer will look at a property that has everything else but those key attributes and decide to wait for a home that meets the #1 pressing need. I understand and fully support those positions. One should never compromise on the real important issues. So, you might think satisficers are a dream. Quick, easy sale. Not so fast. I take time to listen to my clients to understand their wants, needs, dreams and goals. Based on experience, I know when a home is awfully close to that ideal. It is very rare, but there have been times I have taken someone out and on the first day they see a home they want to buy. If that house is just about the best representation of the type of home they want, I agree. But if it is not, I gently try to suggest that we look at a few more. Satisficers have a “we will make it work attitude” which is great but I need to help them deploy that energy on the right home. I believe that the Realtor’s job is not only to know about local markets, financing, pricing, value, etc but also to help guide buyers along their home search – to challenge assumptions and help refine the search. When I first started there was this trainer out there who basically said you show folks 3 homes and ask which they want to buy. I thought if that is success in this business, I will fail. I know for certain, I have “lost” dozens of sales over the years because I pointed out features or situations to my buyer clients to demonstrate that a particular home was not their best choice. Most went on to buy something else but a few did not buy at all. I am perfectly fine with that. I sleep well at night. I am not formally trained in psychology or consumer behavior but it fascinates me to no end. Books like The Paradox of Choice, The Power of Habit by Charles Duhigg and Your Brain & Your Money by Jason Zweig, I find very interesting. I hope you will explore of few of these as well. If you do, the next time you and your significant other need to find a restaurant, it will be much more entertaining.